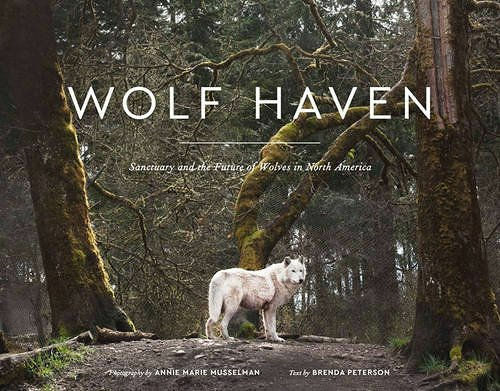 On October 4th, Brenda Peterson, the author, and Annie Marie Musselman, the photographer, will come together to give a book talk of “Wolf Haven: Sanctuary and the Future of Wolves in North America.” There will be a book signing following the talk. This will take place at the Wheelock Library, in Tacoma, Washington. Annie Marie Musselman was given the rare opportunity to photograph the wolves at the Wolf Haven sanctuary. Human contact is very limited, so the images captured by Musselman express a wild spirit that is very different from anything seen in domesticated animals. Brenda Peterson’s text puts the stories of these wolves, and of wolves in North America, into context as she describes their behavior patterns and social structure.